The Indian government's ultra low-cost Aakash 2 tablet PC was unveiled at the United Nations on Wednesday in the presence of UN Secretary General Ban Ki Moon and other member nations in an event. DataWind, the company assigned to design, develop and manufacture the device, also gave a presentation about the 'revolutionary' device. The Aakash is an important project for the Indian government, though the device is not without a history of controversies. The recent controversy that surrounded the device is that it has been sourced from the Chinese companies. 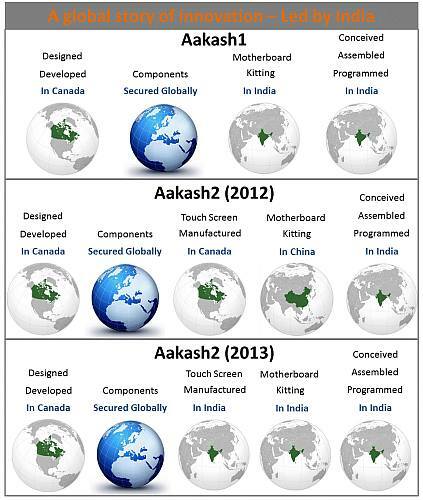 A Hindustan Times report titled 'Conned: Aakash 2 made in China?' 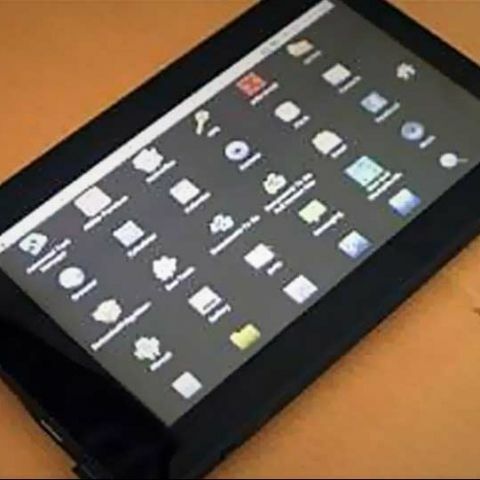 claimed "DataWind founders and NRI brothers Suneet and Raja Singh Tuli may have procured the tablets off-the-shelf from manufacturers in China for $42 ( Rs. 2,263 then), exactly the price at which they sold these to the Indian government". At the UN, Tuli also responded to the accusations of sourcing some Aakash 2 parts from China. He said, "The idea and innovation is Indian, final assembling is in India. One report says only embellishing is done in India. Ask Apple and Microsoft what that means." Moreover, DataWind has put a detailed explanation on its website where the Aakash 2 tablets are made and assembled. The Aakash 2 tablet PC, also dubbed as the world's cheapest tablet, is aimed at bridging the digital divide in the country. According to Indian ambassador Hardeep Puri, the Aakash 2 will help children in remote schools to have access to the world-class facilities. The tablet will be made available to an estimated 220 million students for free whereas the original price of the tablet is Rs. 2,200 (around $40). The government also plans to distribute the tablet at subsidised rates, which is around Rs. 1,100. Read our previous coverage on the Aakash tablet here. Aakash 2 tablet: Outdated even before launch?